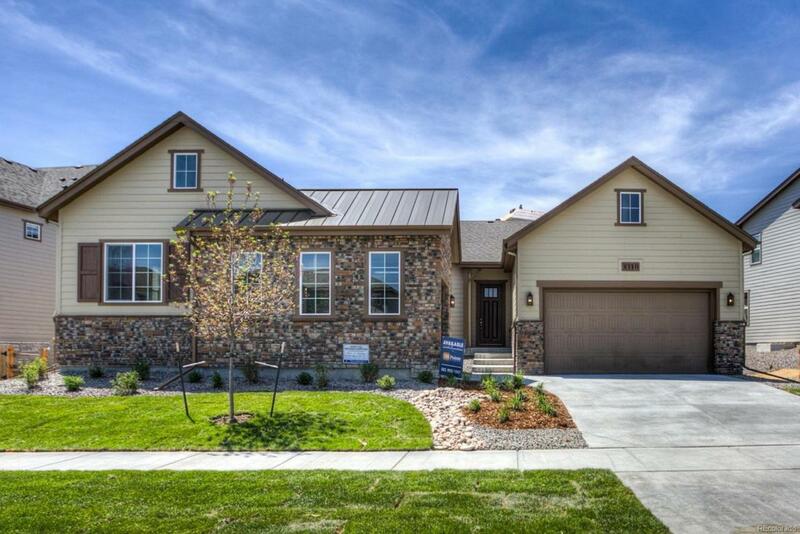 Brand New Luxury Ranch Home with all the bells and whistles! Home offers a finished basement w/ theater and wet bar that is perfect for entertaining and hosting! Huge kitchen island, home management office and open floorplan with stunning finishing touches, 7.5 wide plank floors, quartz countertops, cosmo fireplace, and great indoor/outdoor space! Professionally & fully landscaped front & backyard. Taxes are TBD - taxes are currently assessed on land value onlyand not on the total value of the property. Est. annual taxes are approx. 1.24% of purchase price. HOA is a metro district and fees areincorporated into the property taxes.